Are you a professional handyman looking for new digital downloads for your smartphone? Or a home renovation specialist wanting to take your on-demand construction business to the next level? Thanks to development in the construction app sector, there are a growing number of iOS apps now available for those in the building and carpentry trades. Check out these six powerful iOS carpentry apps to see which ones can help you boost your business and improve productivity. The Toolbox, from SkyPaw – This Smart Meter Tools app is a must-have for contractors to turbocharge their productivity. This multi-function carpentry app turns you iPhone into a seismometer, barometer, compass, plumb bob, bubble level, protractor, and ruler. With an included flashlight function, this is a construction app you’ll turn to on a regular basis. The Joist App for Contractors is an excellent option for contractors who want to offer professional estimates and invoices from their mobile phones. There will be no more going back to the office to email a potential client a job quote. With the Joist App for Contractors on your iPhone, creating a personalized invoice or construction quote can be done at the tip of your fingers. Land more jobs, increase the rate at which you get paid for your services, and build a solid reputation for your business with your professional looking estimates & invoices. You can even accept credit cards on your phone with this app, making it super simple to put an end to chasing clients for payments. The Measure Master Pro app by Calculated Industries can help with converting measurements between multiple formats. Conversion options include feet and inches, decimal feet, metric measurements, and inch fractions. Calculate and convert anything from circumference or linear feet to weight volume or perimeter measurements. Also from Calculated Industries, the Construction Master Pro app offers multiple handy tools for carpenters, architects, and tradespeople. Features include trigonometry calculation tools, angle calculation tools, and even estimate and bid tools for busy contractors on the go. 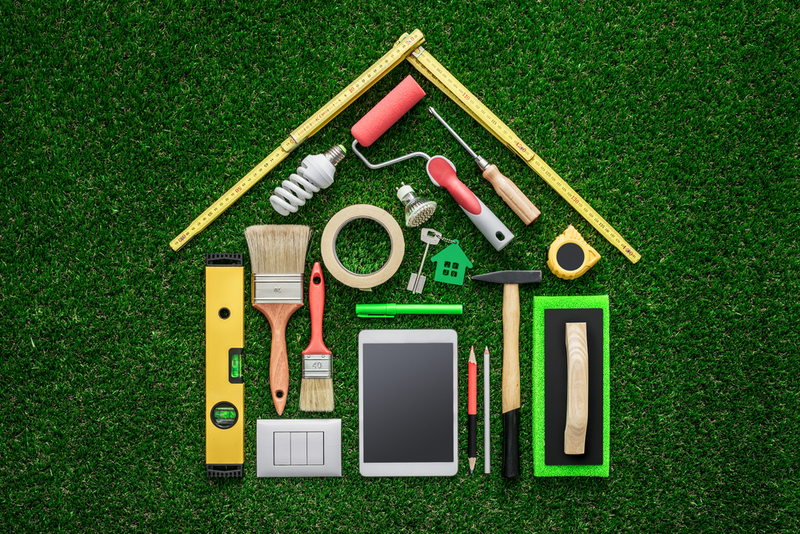 The iHandy Carpenter app offers multiple measurement tools useful to anyone from a home renovation contractor to a home handyman. Tools include a digital plumb bob, a virtual protractor, and a bubble level. The iHandy Carpenter app is available in multiple languages and works on both the iPhone and the iPad. Available from JZ Mobile, the Painting Contractor Estimating and Invoicing Tool app is an essential download for anyone from a solo painting contractor to a professional carpenter. Features include materials estimating, invoice preparation, and revenue calculating. The above-listed construction apps are just a few of numerous iOS apps available to those in the construction industry. Mobile app developers are continually launching new products thanks to innovations within the software industry. How many of these apps will you be adding to your smartphone or sharing with other contractors in your industry?